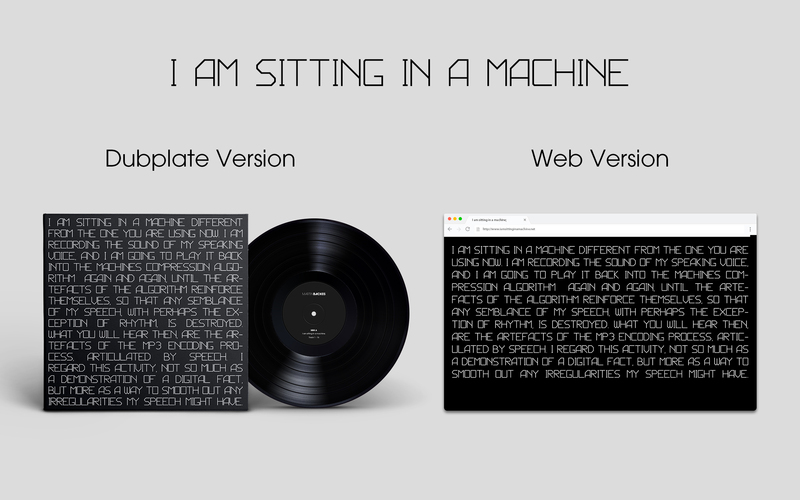 „I am sitting in a machine;“ consists of two parts. One part is a web page application. The other part is a limited edition dubplate record consisting of 30 units. Both works are available for purchase. If you are interested in buying, just read further. Please note: Mobile browsers are not supported. Please use a desktop web browser (the work is optimized for Firefox and Chrome). Record Version: The price for the record version is 500,- € (Edition of 30 + 5AP`s). Web Version: The price for the web version on request. 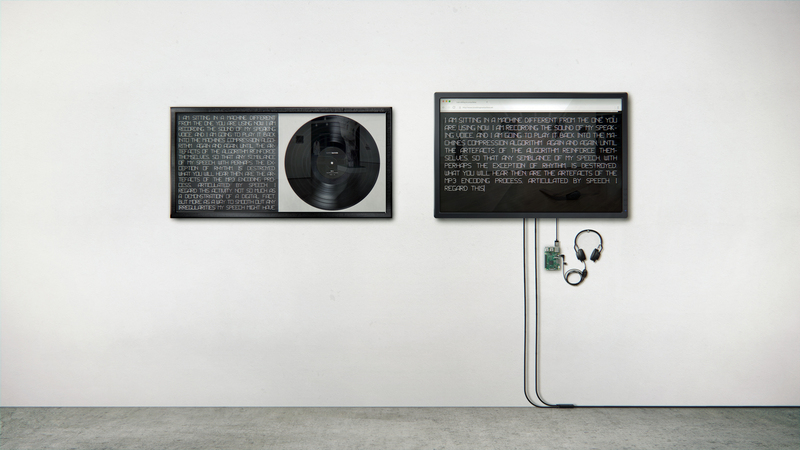 Record + Web Version: The price for both, the web version and the record version, on request. Each work is signed, numbered and comes with a Certificate of Authenticity. The vinyl distribution is handled through Flipping the Coin. 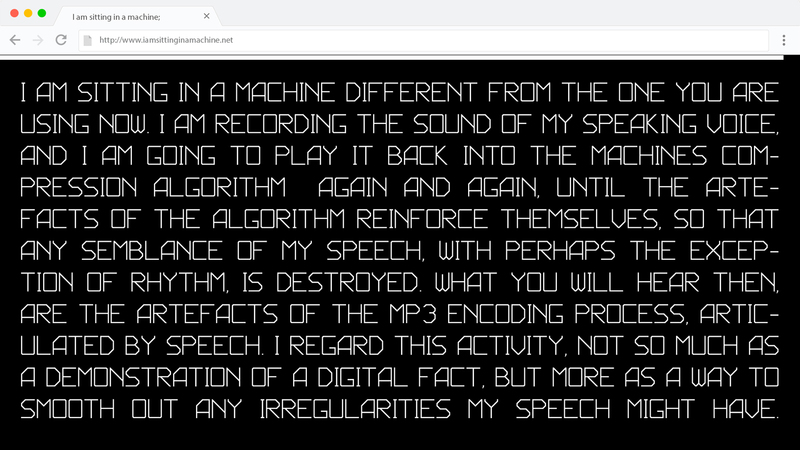 If you are interested in purchasing either the dubplate record or the web page application itself, please get in touch with me ( shop [at] martinbackes dot com ) or directly with Flipping the Coin. 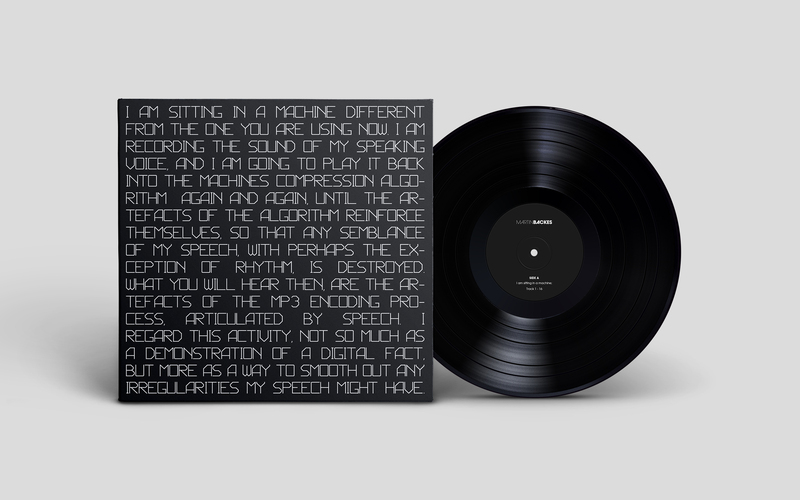 The vinyl version is strictly limited to 30 units. You will receive a reply with all needed information to place an order.